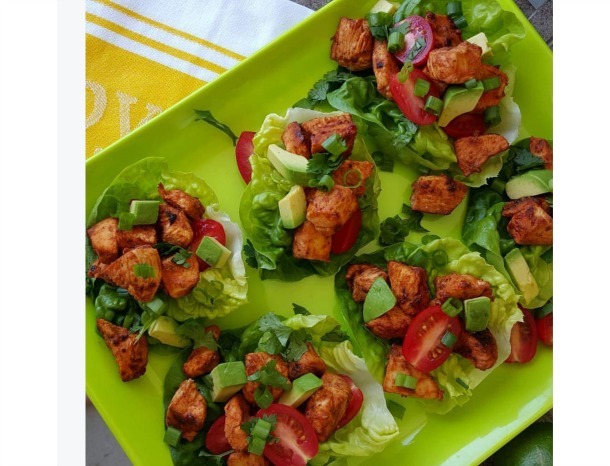 Today’s WINNING recipe to meet Coach JC’s 10 WINNING Habits is Honey-Lime Sriracha Lettuce Wraps. Where is my lean protein? Where are my healthy fats? Combine marinade ingredients well. Place in medium glass bowl (cover), or gallon ziplock. Add diced chicken tenders. Marinade four hours, or overnight, refrigerated, turning coat occasionally. Serve immediately on butter lettuce leaves with: tomato, avocado, green onion, cilantro and fresh lime wedges.